Have you ever received an impression? If you were the Lord, what is one of the first things you would want to teach this newly restored church? 2 Nephi 32:5 –WHAT does this basically say? You get the Holy Ghost, and it will guide you in what you need to do in your life. How to get it, and how to recognize it. Sections 6,8 and 9 all teach this lesson. How do you get the Holy Ghost into your life? How do you hear Him? Just because He speaks to you, doesn’t mean you will hear/recognize the voice of the Lord. The Holy Ghost will communicate general feelings to our hearts and more specific messages to our minds. For example, someone might have the idea to immediately pull over to the side of the road and stop the car. Which type of impression is this one? This would be a mind type of impression from the Holy Ghost. Is that revelation? You better believe it. Have there been times when you have been impressed with the desire to just be a good person? Have you ever been in the presence of someone remarkable and felt the desire to be good? Have the students share experiences where they have had a general impression to be a good or to do good in their lives. What were they doing at the time? Where were they? The Spirit invites us to walk humbly, to judge righteously –these are general feelings from the Spirit. When He speaks general feelings, what do you feel? In Mosiah 24:9 we read of a circumstance where Alma and his people are in subjection to Amulon, a wicked man who has made the righteous people of Alma his slaves. They were comforted- One of my students shared a story how she was hanging with the wrong crowd and her mom encouraged her to receive her patriarchial blessing. She received her blessing and afterwards had continual reminders/promptings to read her blessing. She kept putting these off until one day she finally read it and had one of the greatest spiritual experiences of her entire life- it changed her life. She felt an overwhelming feeling of God’s love for her and it changed her feelings about who she spends her time with and the kind of person she wants to become. That single experience changed her desires. By teaching principles of the gospel by illustrating when that principle is true – using the scriptures to do so- will bring the power of the word into the lives of the students. 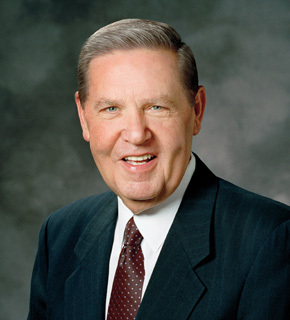 The more a teacher can illustrate the principle using the scriptures, the more students will turn to the scriptures to solve their real life problems. The greatest affirmation of that promise ever given in this world was the gift of God’s perfect and precious Firstborn Son, a gift given not in condemnation of the world, but to soothe and save and make the world secure: “For God so loved the world, that he gave his only begotten Son, that whosoever believeth in him should not perish, but have everlasting life” (John 3:16; emphasis added). Katie Lewis is my neighbor. Her father, Randy, is my bishop; her mother, Melanie, is a saint. And her older brother, Jimmie, is battling leukemia. Sister Lewis recently recounted for me the unspeakable fear and grief that came to their family when Jimmie’s illness was diagnosed. She spoke of the tears and the waves of sorrow that any mother would experience with a prognosis as grim as Jimmie’s was. 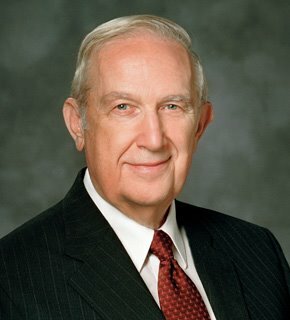 But like the faithful Latter-day Saints they are, the Lewises turned to God with urgency and with faith and with hope. They fasted and prayed, prayed and fasted. And they went again and again to the temple. One day Sister Lewis came home from a temple session weary and worried, feeling the impact of so many days—and nights—of fear being held at bay only by monumental faith. “They say, ‘Trust Jesus.’ ” And then she was gone. Alma 17:10 – “And it came to pass that the Lord did avisit them with his bSpirit, and said unto them: Be ccomforted. And they were comforted.” It’s okay, be comforted- this is an impression from the Holy Ghost. I asked the students, “Anyone want to share an experience where you have had this happen?” When we shared this scripture and invited others to share, there was a willingness in the class to talk about these kinds of experiences. It was truly marvelous. Isaiah 40:28-29 –he giveth power to the faint, he increases strength. I need this strength to do what I need to do. This is revelation. Section 9:8-9 feel that it is right, you will also know when you are going the wrong way. John 14:26 –he just reminds you of things that you once knew long ago. How do you make this happen? 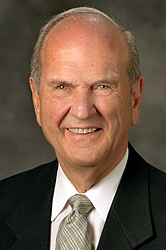 In this case, Elder Nelson had a mind that was prepared to receive the message. Any other untrained mind would not have been able to hear or understand this delicate message. He needed to know two languages: the language of fixing broken hearts and the delicate voice of the Spirit. In this and other instances, the Holy Ghost sends a specific message along with a mental picture of how to do something. Cast your mind on the revelation I have already sent unto you. Did I not speak peace to your mind concerning the matter? Oliver wants another witness that what he is doing is right. If you want more revelation, what is it that you have to do? Great principle: if you want more, remember what I have already given you! I have a strong belief that talking about times when we have been influenced by the Holy Ghost invites further revelation. This is what the Lord told Oliver- if you want more knowledge, more light, then remember the time I answered you before. This could be one of the reasons prophets have invited us to write down experiences from our lives- in so doing we invite the Spirit to guide us to do good. We remember how much the Lord has blessed us already, and from that we are strengthened to face new challenges with the help of Jesus Christ. Students can relate to this principle by likening it to things in their world. A classic example is the very car that they drive. Young people notice something more once they think about it in the first place- example- once you bought a car, you see how many of them are around town. So many students related to this example. As we recognize the general impressions in our lives and follow them, we will have more specific impressions sent from our Heavenly Father to our minds. As we remember our past experiences with revelation, we open ourselves to more communication from heaven. 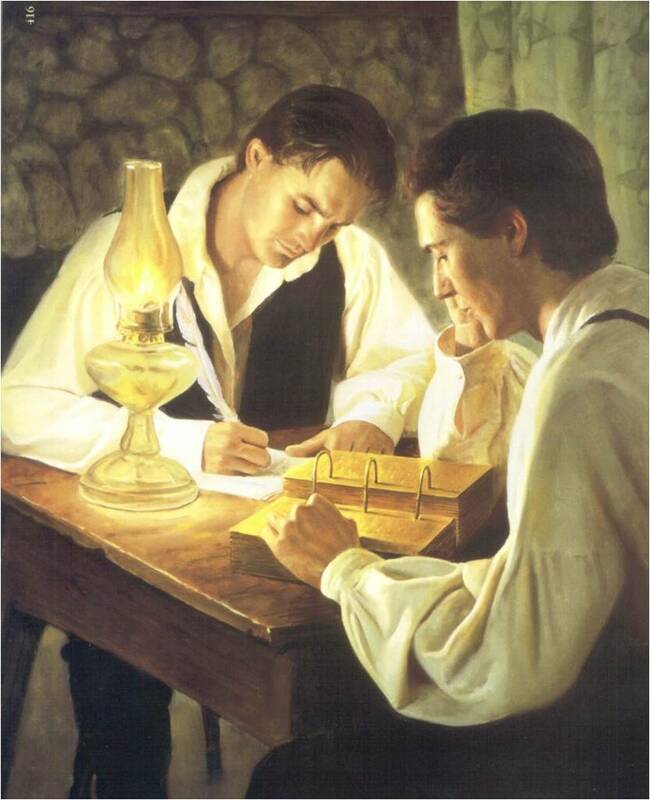 This entry was posted in Doctrine and Covenants, Gifts, Holy Ghost, Principles, Receiving Revelation, Student questions and tagged applying the scriptures, Doctrine and Covenants, LDS seminary, LDS youth, Miracles, principles, principles of revelation, relevance of the scriptures, seminary, seminary teaching ideas. Bookmark the permalink.